YouTube’s app for iOS now allows users to stream videos wirelessly using Apple’s AirPlay technology. Version 1.1.0.4136, more commonly referred to as the iPhone 5 and iPad update, includes a couple of other noteworthy features as well as a minor aesthetic makeover that looks pretty similar to the new Gmail for iOS app. The latter, of course, isn’t a coincidence considering YouTube is a subsidiary of Google. First and foremost, the app has been updated for the aforementioned iPhone 5 and the iPad. The app now has a new look and Google even says that videos should start faster and play more smoothly. The search giant utilized feedback they have been receiving since the first standalone YouTube iOS dropped back in September. 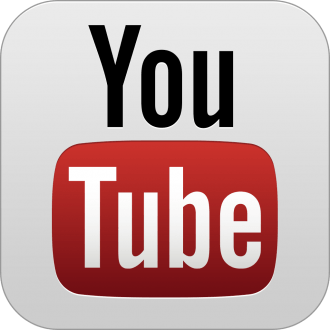 If you recall, YouTube had been a staple in iOS since the debut of the iPhone in 2007. Apple decided to drop native support for the popular video service with iOS 6 earlier this year at the same time they axed Google Maps in favor of Apple Maps. We all know how the latter ultimately turned out. We’re told that users can now tap the YouTube logo to open the channel guide. The release notes also point out that users can add and remove videos from their playlists and there is now improved accessibility with VoiceOver. Furthermore, users now have access to clickable links within video descriptions. YouTube is encouraging users to continue to give their feedback for consideration in future updates which, with a standalone app, means users won't have to wait for an iOS update from Apple to receive new features and bug fixes.